Our divine little Paratrouper Ride will amaze you. Each rider is carefully detailed with a red and white umbrella. The Paratrouper Ride is an unusual Christmas scene and deserves to be put on display in a prominent position. Turn it on at night and enjoy the multicoloured LED lights and enjoyable musical score. 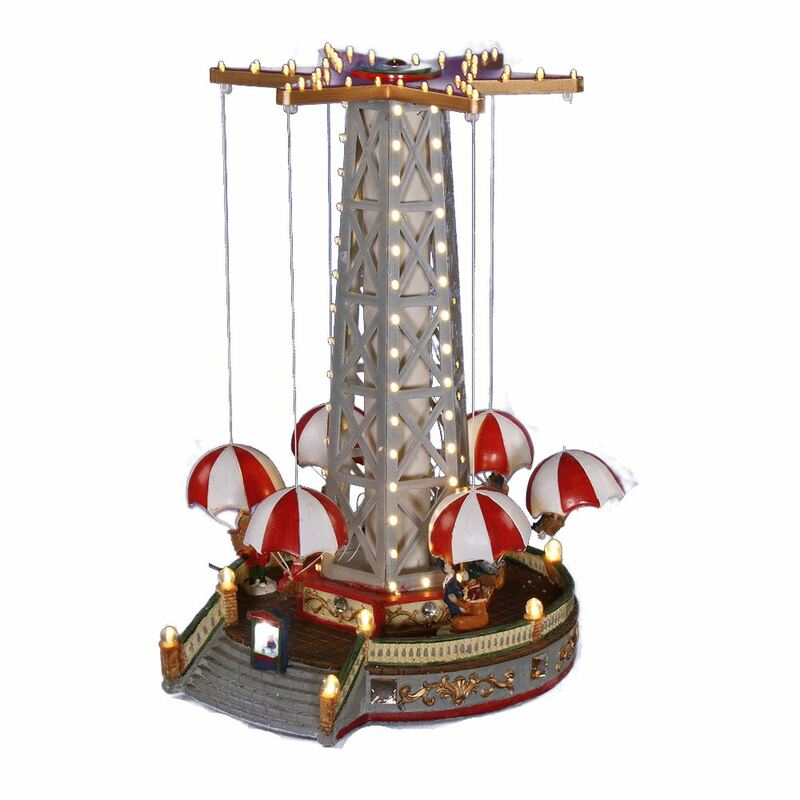 Don’t hesitate to buy a Paratrouper Ride today for your own Christmas display, for a work area or for a ‘young at heart’ friend.